"Satisfaction guaranteed. Ender and his team are A1. Bring up car issues and they are addressed with follow-up during the service. These guys are great. In times of 'iffy' service, I found the place that gives me peace of mind that my car is well taken care of. 5 Star rating. Check Norcal Eurotech out, you will be happy!" "Norcal has been taking excellent care of my car for several year now. I am so thankful and my car is too! They are the best." "I was very satisfied. Norcal Eurotech provides excellent service for our vehicles. Ender and his shop have been our trusted service source for about twenty years. He provides a very thorough service at a reasonable cost. We trust his findings and recommendations." "Great reliable service, friendly staff, reliable workmanship. No need to look any further for an excellent auto shop. Total satisfaction with each service." "Ender and his crew have been taking GREAT care of all our vehicles (personal and business) for 20+ years. He cares about your safety and your family’s. They are trustworthy, knowledgeable, efficient and fairly priced. With confidence, I would highly recommend their services to anyone." We've built an impeccable reputation in Campbell. Read through or reviews to learn more. Equipped with an ultra clean and productive workshop, we are constantly investing in new equipment to keep up with modern standards and to give our technicians the best tools possible to do the job right and on time. "NORCAL Eurotech is our number 1 preferred repair shop. We have known Ender for years. He has provided very good care for all of our cars -- the new, as well as the not-so-new. We have always been very pleased with the quality of the repairs and how professional and helpful everyone is at the shop. Ender is very honest and thoroughly competent. I highly recommend this repair shop." 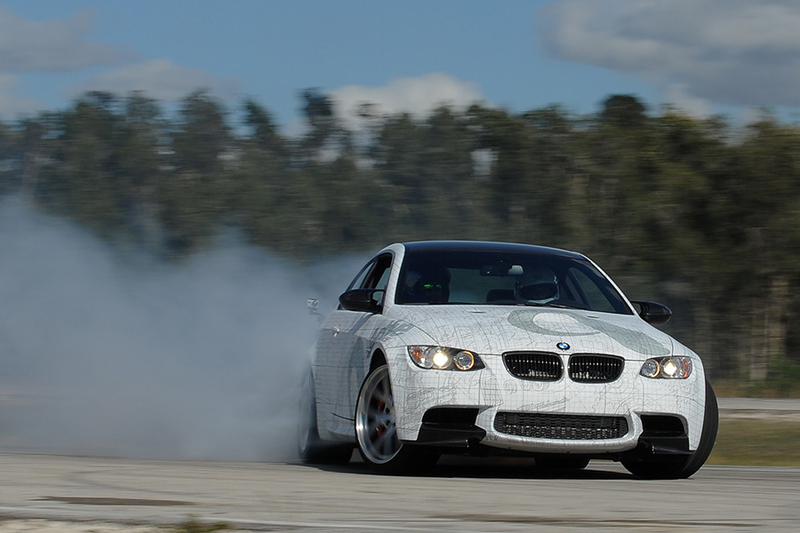 "We first knew about NorCal Eurotech from our neighborhood friends. We are very satisfied with the work and quality of Ender that we continue to come back for all of our minor and major repairs and tune-ups. We also highly recommend him to many of our family and friends in which they take our advice and are very happy with him as well! "Fabulous place to bring your car. Ender is inviting and dependable. He and his techs do terrific work at very reasonable rates. We have brought our cars there for a decade and refer all our friends there as well." "I go to Norcal Eurotech for all major services and repairs on my car and I have had nothing but exceptional service. Excellent quality of work and great professionalism." "My family has worked with Ender for years now and he has been nothing but above board. Always honest and straight forward. The quality of the work is second to none. Thank you for taking care of me and my car." "Been taking my vehicles to NORCAL EUROTECH close to 25 years, Buick’s to Volvo’s, they’ll diagnose and find the problem, take note and report any other findings. NORCAL EUROTECH stands behind its work 1000% with only the highest grade replacement parts used. Would recommend to anyone looking for honest and high quality automotive repairs. Many thanks to Ender and his crew." "I have done business with Ender for many years. Ender and his team are super friendly and people you can trust. I fully recommend his service. They not only do top notch and reliable work, but they also always go the extra mile to check out other key systems on my vehicle. Ender does this as a professional service and never tries to push me into getting extra work done. He not only charges very fair rates, but at times, he has even done extra work for me at no cost. I intend to continue with Ender for a long time to come." "Honest, on time, very competent, does excellent job, advises accurately, friendly"
"I've been totally satisfied with the workmanship and customer service for each of my cars over the past 10 yrs. I wouldn't take my cars anywhere else and feel totally confident recommending Norcal to my friends." "The four drivers in our family are extremely loyal to Ender and NorCal Eurotech. He and his staff have serviced and done major repairs on all of our cars over the 20+ years since we started coming to his shop. Not only has he performed basic car services, he has also offered solid recommendations and has seen our kids grow up and experience the trials and tribulations of driving and needing cars repaired. He appreciates the importance of safety and clear communication, and we especially appreciate the information he provides on service needed in the future. And to top it off, he's the nicest guy in the world! We wouldn't go anywhere else." "Very pleased with the total experience. From the assessment of the car....then good communication by Endor.....quality service with no surprises." "I started taking my car to NorCalAutoTech about one year ago at the recommendation of a friend. I am so glad to finally find a mechanic I can trust. Ender knows what he is doing and not just guessing like a lot of other mechanics that I have been to in the past. I have been very pleased with his work and him keeping me informed of what is going on with the car. His prices are good and I will continue to bring both of my cars to Ender." "We have taken our cars to Ender for over 20 years now. He has always been very trustworthy, courteous, prompt and professional. You would need to visit him once to see why we have been his loyal customers for over 20 years." "I have been going to Norcal for several years now. It has been great to find a local place where I can take my Mini Cooper. Ender is a top notch mechanic. His prices are fair and he is always able to get my car up and running quickly. I appreciate his kindness and attention to detail. We are lucky to have a quality repair shop in Campbell." "Enders and his staff are very professional in their work and service. Finding a reliable car service business is of the utmost importance. Norcal Eurotech was recommended to me by a satisfied customer/friend and I in turn recommend Norcal Eurotech. It's important we support our small business owners!" "I recently began taking my car to NorCalAutoTech at the recommendation of my friend who has been taking his cars there for quite some time time. I was a bit reluctant to do so because it's hard to find a good, trustworthy mechanic that I can trust to work on my BMW X5...but I'm happy I did. I was supposed to take my car in for some axle repairs but the day before, I began experiencing a coolant leak. Ender had no problem taking me in for work that ended up being a series of multiple repairs from a cracked radiator, to replacing the cooling pan, as well as other various items. I asked that he check with me before making any other repairs...and he did. I ended up saving $$$ in labor cost because he was able to replace other parts that would've resulted in additional labor cost had I brought the car at a later date. Thank you Ender!!! I will now travel more than 25 miles to have my car serviced for any required repairs (which is to be expected with a 13 yr old car). In addition, I appreciate the follow up courtesy phone calls to check and ensure everything is working as expected. I now have a mechanic that I am comfortable with and can trust my car to. I have no reservations recommending NorCalAutoTech." "I have had my car serviced & repaired at Norcal Eurotech for many years. The work has always been of the highest quality. I have always been treated honestly & professionally & in a very friendly manner. I plan to continue bringing my car here and I highly recommend Norcal Eurotech to anyone in need of this service." "I have been taking my cars to Ender for over 20 years, and he has always given me superior service at very reasonable prices. Ender really cares about the quality of his work, and I would hate to trust my cars with anyone else. He takes care of my car, as well as the cars of my four children, and we all trust and rely on Ender." "Did a good on my car for a very reasonable price. Highly recommended"
"Great shop to go to for reasonable prices. easy to work with and honest. Always does a great job with my car when it has problems." "I recently moved to the Bay Area and called Ender after reading great reviews about his shop on Google. I was looking for an honest mechanic. Even though the website says that they specialize in European cars, I asked Ender is he works on Subarus, and he didn't hesitate with a yes. He was very welcoming when I dropped my car off to the shop, even gave me directions to find the Los Gatos Creek trail so I could go on a run while they tuned my car. When I returned Ender had gone above and beyond on the tune up. I will definitely be bringing my car back to Ender's shop for my next service. "Norcal has done van service on my small fleet for 10 years. My trucks are on the road 10 -12 hours a day. They are all high mileage vans but they are dependable with Ender's maintenance. He saves me so much money over my previous mechanic. He communicates promptly. Good mechanics are busy so sometimes you have to wait your turn. It's worth the wait. Not waiting can cost you more time and money. Renting a car for a day or two is still better than being impatient and using someone you don't know." "Since 1994, Ender has taken care of all our cars, including two Honda Odysseys, a Pontiac TranSport, a Geo Prism, and a Toyota Tacoma. In our experience, his shop is extremely thorough and professional. We are confident that his standards exceed the manufacturers' recommendations, and his charges for service are always reasonable. As a local businessman, Ender has earned our respect and trust, and we give him and Norcal Eurotech our very highest recommendation." "Norcal Eurotech is the only place I would take my vehicle for repair. Ender and his staff are courteous, reliable and knowledgeable in auto repair. My family and I have been taking our vehicles to Ender for a number of years and are completely satisfied. I have referred friends who are also very satisfied customers. I highly recommend the professional and quality service of Norcal Eurotech." And cost effective. I would've think of going me anywhere else for my auto care." "Thank you Norcal Auto Tech! Thank you for reasonably pricing your 100% competent service on my BMW 550i. Ender's knack for simply and concisely explaining my car's problems made my repairs easy. Norcal Auto Tech has my highest recommendations and I now have an honest, reliable mechanic for my family's cars. Repairs are as promised: time frame and cost." "This is quite simply a great auto shop. Since the early 2000s, I have taken all of my BMWs here for high quality repairs and maintenance and excellent customer service. They give good advice and don't up-sell you on items that your car doesn't need." "I have been bringing my cars to Ender for more than 10 years. He has worked on the cars my children drive and makes sure that the vehicles are safe and running well. He is always available to diagnose any trouble and service my cars quickly. I trust his opinions and recommendations- something I don't normally do with a car service business or a dealer's repair shop. He was able to diagnose a problem on my under warranty Nissan Altima even after the dealer had seen it twice and "couldn't find anything wrong". I took Ender's written diagnosis to the dealer and low and behold the problem was finally fixed." "We have worked with Ender and his team as our auto specialists for years. We have recommended them and we do recommend them to anybody. Not only have we been more than satisfied with the work, but we have often been undercharged for labor. They go the extra mile. Their costs are very fair and they operate in the principles of good work and high integrity. It’s a very good feeling knowing that you trust the people taking care of your car." "If someone asked me about Norcal Auto Tech's quality of work and customer service, I'd say "stop looking around" because you've found the best independently-owned automotive repair shop in the South Bay! I know because now that I've moved to Monterey, it's difficult to find an equivalent in our area (still drive to Norcal Auto Tech to get our cars serviced). I've been going to Ender for over 20+ years now, and he's been nothing but fair, honest & competent in his work (always refer friends & family to him). I've given Ender anything from my daily driver Mazda 3 to my Shelby GT, and he's been able to handle everything that I've thrown at him. I'm hoping he doesn't retire for another 20+'years..."
"We have taken our family cars to Enders for as long as I can remember. Now that we have moved out of the area and live in Morgan Hill, we still take our cars here because of the fast, fair and dependable workmanship. Thank you Enders for years of excellent service." "My car went on the fritz two days before Thanksgiving. I had gotten the run around from another place a week earlier and I was suppose to be driving out of town for the holidays. I found Norcal Auto Tech online and I called Ender frantically looking for help. He was the best. He was calm and reassured me that he could have my car done in no time. Dropped off my car that night and by 9am the next day he had the diagnosis and a solution. My car was done by noon. Not only was I blown away by his efficiency and kindness but the cost was less than I had been quoted by that other loser I had taken my car too. Safe to say Ender will have my business till the wheels fall off of my Kia and I always tell people who are looking for a good mechanic that this place isn't only good its great." "I'd tell them to look no further. This place is the best!" "I have been going to Norcal for many years now. I have a 93 ford van that he has kept running with no problems. Once the warranty was up and I could take it to NorCal instead of the dealer, problems that were "unfixable" suddenly got fixed. I also take my BMW there and his work has always been excellent. I have never had a complaint with NorCal and sometimes have been pleasantly surprised by them doing more than I expected." "My Mazda3 needed routine maintenance. The Mazda dealer suggested doing a bunch of extra stuff that was not listed in the maintenance schedule. Ender suggested doing just what was needed, not more and not less....resulting in cost of less than half of what dealer wanted to charge. I can rely on Ender doing the right thing with high quality." "Honest, fast and fair price. I never feel like I'm being railroaded or that the suggestions are anything other than necessary, unlike the Toyota dealer. We take our Audi here as well." "Can't go wrong with Ender! I have used his NORCAL Autotech for my last 6 cars and you won't find a better place in the valley for a convenient, friendly, timely, high value, and competent servicing of your car. Great honest service, with very sound advice for caring for your vehicle. The work leaves you feeling confident that he has done everything that should be done to maintain your car and provide you and your family with the safest possible experience when you are on the road. Thanks. Try his shop and you won't look for another shop ever again." "You can trust Ender! He will do what is necessary with no upsell. He has the answers and his costs are very reasonable. After many years of having Ender work on all my cars, including my classic Corvette and Mini Cooper, he routinely services my other Lexus cars, as well as my VW Eurovan camper. You won't be disappointed with his work or the cost." "I've been taking my Infiniti M45 to Norcal for several years now. I've always received prompt and thorough service at reasonable prices. I highly recommend Norcal Auto Tech!" 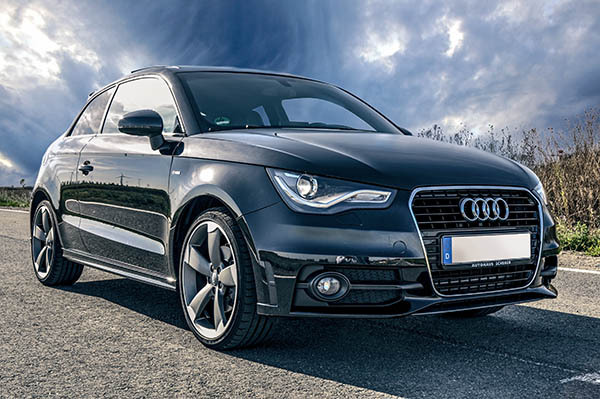 "After moving to Santa Clara from Oakhurst I was looking for a quality auto repair shop to maintain my 2004 Saturn Vue with 183,000 miles on it. I checked a lot of references on line and decided to try Norcal after seeing so many positive local comments. I'm really happy with the result. Ender and his staff repaired a temperature sensor problem and later replaced the front brakes. All done on time and within his quote for the work. I am quite satisfied and will count on Norcal for any future work needed." "I discovered Norcal Auto Tech several years ago after researching automotive repair reviews on Bay Area Consumer Checkbook. The research paid off. I have found Ender to be extremely competent, exceptionally trustworthy, and reasonably priced. I always recommend his shop to family and friends." "NORCAL HAS TAKEN CARE OF OUR CARS FOR OVER 25 YEARS. THEY HAVE THE HIGHEST RECOMMENDATION FOR QUALITY SERVICE, EXCELLENT TREATMENT AND GREAT DIAGNOSTIC SKILLS." "I have had my car serviced & repaired at Norcal Auto Tech for many years. The work is always of the highest quality. Treatment at this place of business is always honest & professional. I highly recommend Norcal Auto Tech." "I came to Norcal Auto Tech by personal recommendation and heartily pass it on. They rebuilt the transmission on my old car at a fair price and I've been quite satisfied with the performance. I find Norcal has integrity and doesn't try to take advantage of my limited auto knowledge by describing exagerated or frightening scenarios to get me to authorize non-essential work." "Ender was very through with what I needed to do in order to get my car in top shape and I felt like he was very honest with what needed to be done because being a female we always get ripped off when it comes to Automotive Technology. Anyways I definitely recommend." "I first took my Honda CRX to Ender 20+ years ago. In recent years he has kept my '95 Taurus running well. I highly recommend Norcal Auto Tech to anyone looking for honest, excellent work at reasonable rates!" "We have been repairing our family cars at Norcal Auto Tech for many years and we are very satisfied with their service. They are honest and provide excellent service at a reasonable price." "Ender has taken great care of our family's cars for over 15 years. He can diagnose and fix just about anything. He's honest trustworthy. He always gives great customer service, and his prices are reasonable." "I have been a customer of NORCAL AutoTech (including the time it was known as Ender’s Automotive) for more than 20 years, during which time I never agonized over auto repair issues. Ender serviced and repaired all of my family cars, as well as those of my business associates and friends who asked for a referral to a great mechanic. All of his repair recommendations have been based upon his skilled and thoughtful assessment, and I have always felt that those were made with my best interests in mind. For more than 20 years his prices have been reasonable, and his work has been thorough and guaranteed. I continue to recommend him highly." "I had another emergency and Ender was once again my savior. So dependable and friendly. He always guarantees his work and wants to make sure that your car is fixed before he releases it back to you. He cares which is so important. You can't go wrong with Norcal Auto." "They're absolutely trustworthy and their work is solid. My husband and I have been going to Norcal for 12 years. Before that, my father-in-law used Norcal as his auto shop as well. In that time, we've grown up from cheapie cars (Norcal helped us focus on keeping the car safe, but helping us decide when it made sense to get rid of it) to nice "grown-up" cars (now we care that everything is in very good working order!). It's a serious relief to know I have a person I trust with my cars." "Over 10 years I am taking both of my cars to Norcal Auto Tech for maintenance and repairs. Up till now I never had a problem with their services. I can say that they are the best. The owner Ender is a very trustworthy person. I did refer him to my friends and not a single one complained about their services and they become a regular costumer. Usually it is difficult tho find repair shops that you can trust hundred percent. I strongly recommend him." "I have been taking my vehicles to Ender for over a decade now and could not be happier. Excellent work at fair prices. I once took my vehicle in for an inspection and Ender returned it to me without charge; it did not need maintenance at that time. How may shops treat you car as they do their own? Ender does." "I have been taking my business and family cars to Rnder for over 18 years! He takes pride in his work and has always treated me well. He cares about my needs and I have a great deal of respect for his work. Thanks Ender for all you done." "I have been going to Norcal for several years for service and repairs. They do a great job diagnosing problems, always call me promptly to discuss the timing and cost of repairs. I appreciate having automotive experts I can trust and rely on." "I moved to Campbell in 2004. I used to get my car serviced at a shop in Mountain View which I liked so I was wary of going somewhere else. But I gave it a try and had my car serviced at Enders shop. Some of the services I had done at the old shop didn't need to be done as often as they had suggested. For instance coolant changes which at the other shop were suggested every year. Ender informed me that I can go much longer without a coolant change and I mean a lot longer. Ender was able to get me in the shop quickly when my alternator was going out. There have been many times where he has fit me in or let me know I could hold off having work done on my car. So for the last ten years I have been coming to Enders shop and will continue to do so. Honest and ethical work is practiced at his shop. If you need work done in Santa Clara County I would highly recommend coming to Enders shop." "Trustworthy, excellent job with reasonable price." 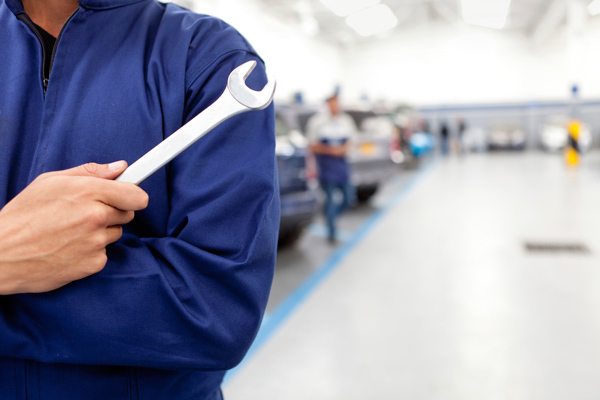 "My go to mechanic for all auto service from maintenance to difficult repairs. Much better than going to the BMW dealer for service. They are cost effective, honest and easy to work with. Highly recommended!" "We have been going to Ender for years. They are very good at trouble shooting problems, even intermittent ones, and do not perform unnecessary service. It is nice to be able to talk to the person who is actually working on the car. Ender is very good about letting you know what needs to be done and getting the work done in a timely manner. Norcal is dependable, reliable and trustworthy. We highly recommend Norcal." "Norcal Auto is by far the best in the bay area. Ender is always honest and straight forward with what needs to be done and what can wait a while. His prices are reasonable also. Ender always give a fair estimate on how long you will be without your car. I recommend him to anyone who needs work done on their cars." "Competitive pricing with professional results. Happy to listen and Norcal will give you options for newer and older cars. No sales pitches with Ender. If my mother lived closer I would recommend Norcal to her." "Norcal is a very trustworthy auto shop. I've been bringing all of our family automobiles to Ender for two years now. We are so happy that we have a reliable place to take out cars." "Thank you to Ender for always saving my family and myself when our cars have broken down. You rarely meet a true honest genuine person who is also a mechanic. Instead of going to your dealer and paying tons for things not needed, please go to Norcal Auto Tech and get honest trustworthy repairs and service. 5 Stars+"
"as always, Ender's shop does excellent work, at a good price. his team do their job well." "Ender and his staff at Norcal Auto Tech are the finest around. Their level of integrity, their work ethic and their workmanship is the best. I wouldn't want my vehicles in the care of anyone else but Ender and Norcal Auto tech." "The best thing about Ender is that he cares about his customers and wants them to be happy with his work. Most places do a good job, but Ender makes all his clients his friends. He is like the neighborhood bar where he knows your name and something about you. He always greets me with a smile and a handshake and personalizes his business. Plus he does good work and guarantees quality. I am really glad that I found him." "I have had all my vehicles serviced by Norcal Auto Tech for years. I would not go to any other provider. He is honest, very competent, and has always recommended work that is truly needed. I have recommended them to many friends who also have been extremely pleased." "I am very happy with the work they have done on my Mini Cooper. It has been hard to find someone in the area that can work on my car. The prices are fair and the service has been great. I will keep coming back !" "Ender is amazing. I have been bringing my cars to Norcal Auto Tech for about 6 years and they are always honest and through. I will never go anywhere else and you shouldn't either if you want the best!" 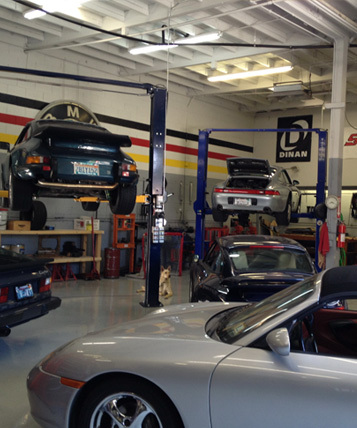 My car have been serviced at Norcal Auto Tech for more than 17 years; there is no need to go someplace else! Ender is truthful, courteous, efficient, does only the wok is required / nothing more. I really count on his expertise and his honesty. All at a fair price too." "Great service. Ender is very honest and he and his team do quality work." "My husband and I have been going to Norcal Auto Tech for about 15 years. Ender's is very professional and he communicates the work that needs to be done so there are no surprises. Ender's is an excellent mechanic and his prices are reasonable. I would highly recommend this shop to anyone. In addition, Ender's helped us to find buyer's for two vehicles we wanted to sell." "I have a fleet of high mileage Ford vans. I buy them with 150,000 because I know they are good for another 150,000 plus. Within a few years they are at 300,000 miles. Ender keeps my trucks on the road for high miles and rigorous residential driving, steep hills and hundreds of stop signs. Ender is good and busy so I have to make an appointment. Why would I want immediate help with someone nobody wants to go to? In 2003 when I switched mechanics to go to Norcal my repair costs dropped by over 50%." "Take your vehicle to NorCal Auto Tech. You will be pleasantly surprised!" "Norcal Auto Tech has always done an amazing job with our vehicles. Whether it's only a minor service or taking care of a pretty serious problem Ender and his team are awesome! They work quickly and always call to check with me before the do any additional work. I always recommend Norcal Auto Tech to my friends!" "Ender thinks like an owner, not just an auto mechanic. My BMW was having some leakage issues and I took it to BMW and they told me $9800 for a valve job. I took to another repair shop and they said they could fix it for $4000 which was on top of the $3800 I just paid them for their misdiagnoses of the car. I told Ender my problem and he suggested a different approach which would keep the car on the road and did not cost a small fortune. Both of the other facilities told me that my car would fail soon without their repairs. Here I am 12 months later and the car is running great. Thank you Ender!" "Ender is great to work with. He takes excellent care of my three cars (Chevy and BMW). His pricing is more than fair and he always takes the time to explain what the issue is and what needs to be done now and what can be postponed. I used to just take my Suburban there, but now he works on all my cars." "I have been working with Norcal Auto Tech for a few years now. They have done a great job on all of our cars. Their service is fast and reasonable priced. I would not trust anyone else to work on my cars!" "Dante adds extra special service by checking the total aspects of the car, providing practical advice to the clients and delivers with quality. "I would highly recommend Norcal and Ender. I have been bringing my Ford Expedition here for several years, and always receive the highest quality of customer service as well as thorough honest work done. Being able to trust your mechanic is number one for me, and with Ender at Norcal, I know my truck, my wallet, and my piece of mind is in great hands." "Enders and his crew are honest. They work on their customers' behalf!" "Ender is fair, honest, and highly skilled. He has taken care of all of our cars for the last 12 years. He is reliable, and will never charge more than what is necessary." "I first took my Honda CRX to Ender 20 years ago. In recent years he has kept my '95 Taurus running well. I highly recommend Norcal Auto Tech to anyone looking for honest, excellent work at reasonable rates!" "g Good,honest service.Explain what was done well!" "It is run by Ender who is trustworthy ethical, has great mechanical skills, welcoming and friendly"
"Go, if you want someone who is honest, reliable, experienced, and provides great customer service." "easy to work with, reliable, and honest"
"Excellent service/repair, low cost and honest reliable input from employees." "Ender has been repairing and serviceing my cars for at least ten years. Superior service and workmanship,"
"Fantastic service and reasonably priced." "Ender is an honest man and a pleasure to do business with. I know when he says that I need some work done, that I really do. As a women, it is nice to be treated with respect. That has not been my experience in the past at other shops. The car is always ready when he promises and if I have a problem he sees me right away." "Outstanding! Enger takes great pride in both the quality of his work and his customer service. We have been very pleased by his knowledge of cars and ability to correct our problems at a reasonable cost. In fact, he recently called us to say that he was sending a cheque to cover an amt I had overpaid even though he could have simply let the matter pass and I'd have been none the wiser." "I would recommend it highly"
"Honest evaluation of the car's condition and reasonable cost of repairs"
"I have been using Norcal Auto Tech since it's inception about 20 years ago and have been very happy with the quality of work and the cost. I tell Ender to do what needs to be done without having to consult me as I trust his judgement and am confident that he will not invent repairs to run up the cost." "I trust Ender and when he tells me something needs attention I listen. My car has 355,000+ miles and I know one reason it runs as good as it does is because of the maintenance work Norcal Auto Tech has provided for the past 10+ years. I've lived in the east bay since Sept 2006 and tried several mechanics in the area. I wasn't satisfied so I continue to drive south to bring my car to Ender for maintenance. Again, I trust Ender. And this is what I tell people, especially single women friends." "great service, honest bills, quality work"
"It's excellent. Also, Enders is very honest and does great work!" "Norcal Auto Tech is provide high quality, professional service they perform expert repairs, on time and stand behing their work." "By far the best place to take your car. Always reasonable and effective. Always trustworthy. Best service provider of any type that I know. I have done major and minor service and repair on multiple vehicles with Nor Cal for 18 years. I trust them completely, and would not want to go anywhere else. They can solve difficult problems and won't overcharge you. They handle large jobs or small, and give good advice." "remained true to the price estimate, honest repair work from staff and owner"
"I have been going to Nor Cal Auto Tech since I moved to Campbell in 1994. I really like the service!" "In a class of his own, most and competent person I've ever done business with." "I love these guys! They always fix/service my fleet of vehicles and my personal car as well." "Quality and service best I have seen"
"Will definitely recommend Nor Cal Auto Tech to potential customers." "your car will be very well taken cared of personally"
"Ender stands by his work. Unlike large shops, you get to speak with someone who actually looked at your car rather than a service advisor." "That they do good work and get it right the first time (especially good with foreign cars). They are not the least expensive shop, but when I have used a shop that is less expensive and closer to me - I have had to return multiple times for the same issue." "I have repeatedly recommended Norcal to friends"
"Good shop, fair prices and honest"
"Highly recommended! Ender is very knowledgeable, provides quality service, prompt in fixing problems and reasonable prices. 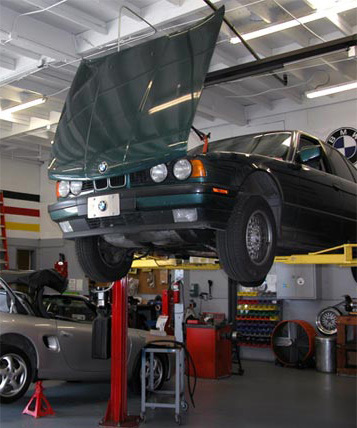 Have never come across such an excellent auto repair shop in southbay. Take your car to Ender and you will never be unhappy." "Very professional and on-time performance. They do what they promise"
"Ender is completely honest and only does the work that is necessary without trying to line his pockets with unnecessary repairs. He is always there for you and treats his customers with the utmost repect"
"Very reliable and customer friendly"
"Always go there and I have sent many happy customers there." "Norcal Auto Tech is a place where you can get your car serviced and problems fixed with high-confidence and worry-free. Best service for your $$." "Unlike many auto repair places, NorCal Auto Tech can be relied on for honest appraisals, fair prices, and good work." "Ender and his crew are highly competent, honest and friendly! I am a happy long-time customer - They've maintained/repaired our two cars for at least five years." "It's and honest and fair priced shop that does excellent work. He quoted me a price to replace the engine and stuck with it even though there were a couple of unforeseen problems. Who does that, no one does that. This guy is great! Also, the clutch needed replacement and he only charged the cost of the clutch, not the labor, since the engine was already out. Very honest." "I would tell them that the owner is honest and fair and does a grat job." "Wow! They are so reasonable and efficient, good at what they do, pleasant to deal with. Bay Area Checkbook likes them, and a AAA towtruck driver took me there the first time. I'd like to find him and thank him. I've been looking for a mechanic like this since I moved here in 2004." "The work is excellent and fairly priced." "It's 100%. I have never been dissatisfied after a decade of doing business with Norcal." "We have been customers of Norcal Auto Tech for over 15 years and have always been very happy with the service and price. Work is always done correctly and in a timely manner. Communication is great. Staff is very knowledgeable and friendly." "Definitely go there. Ender is the best." "I have had a few cars serviced at Nor Cal and find them to be courteous, honest and comperable in price to other less reliable stations." "Same thing I always tell them; that Ender's shop is reasonable, quick, and reliable. I recommend Norcal Auto Tech to everyone without reservations." "Great value reliable service, great staff"
"Great service, great work! Totally recommend it." "customer service is execellent, the work is always prompt." "There is no one else I would take my cars to. Ender is honest and reasonably priced. He will NEVER recommend any service that he doesn't believe is necessary. He always takes care of me!" "By far the best place to take your car. Always reasonable and effective. Always trustworthy. Best service provider of any type that I know." "I regularly recommend Norcal to friends - Ender and his crew do a good job!" "Quality of work is consistently high." "They are easily the most honest mechanics that provide excellent service you can find anywhere!" "Top notch, very honest and thorough. He stuck to his quote for labor despite unforeseen problems. This was a replacement of a blown engine with a used engine. Water pump needed replacement on the "new" used engine which he replaced for parts cost only, no new labor. There were several items like this. We need to support an honest man like this because they are few and far between. Car runs great so far, its been about two weeks." "They look for the problem thurougly. Even when it is not obvious. There is no guesswork. Always pinpoint exact issue with vehicle." "I would tell them to go use the shop for sure"
"Reasonably priced. Ender is a 'straight-shooter'." "They are professional, hard working and dependable people to satisfy all your car repair needs." "The work is thorough & of high quality. Ender is friendly, honest and accommodating. It's a pleasure to et service from him." "yes, I have already recommended to a friend and he is happy with their service too." "The work was done well and in a timely manner. The work was documented and given as part of the receipt, there is no guessing what they did." "Norcal, has rendered the best quality and the most honest service, in my experience so far." "the quality of work is exceptional and the customer service is top of the line. Theses are the two most important reasons to continue our relationship with Norcal Auto Tech and Ender Negiz"
"I really liked how fast they worked on my car." "I've recommended Norcal to many friends. I tell them that the quality of work is excellent and Ender is always very honest about what needs to be done on the car." "Offers the most competent automotive service available in the San Jose / Campbell / Los Gatos area, and what makes it even better is that customers are treated with integrity and the service rates are extremely reasonable. I've been taking my cars to NorCal Auto Tech for over 15 years, and I've been recommending the shop to family, friends & co-workers ever since." "I tell people all the time if they want to get a good assessment of a problem and repair for a fair price-they should go." 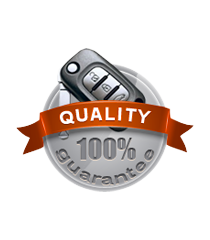 "For honest, reliable service, norcal auto tech is the place to go. I have always had 100% satisfaction with all services and work done. Its hard to find good customer service these days, and norcal delivers! Ender is amazing and knows his stuff. Once you come here, you won't go anywhere else ever again!" "See review. They are the best mechanics we've ever known, and we trust them completely to do the right thing for us and our cars." "Dependable service. I trust Ender." "I would recomend the shop, because I'm very satisfied! Thank's Mariza Teixeira"
"He is very honest and trust worthy and that;s good enough for me !" "I would say that I trust Norcal Auto Tech and that I'm very satisfied with their work. Ender was able to figure out what had been wrong with my car after I'd taken it to a local Japanese car specialist who did nothing to remedy the problem. I would definitely come back." "Your car problems will be solved for an honest price." "I would highly recommend Norcal due the their honesty and rapid and experienced service. Norcal has always gone the extra mile for us and they offer very fair costs." "I was very satisfied with their workmanship and service. I would highly recommend them." "I would highly recommend Norcal's quality of work and service." "Great staff -- highly recommended"
"Over the past many years the work quality and customer service have been exceptional. I highly recommend this shop." "great service with a smile and very trustworthy, my absolute requirement!!!" "They are reliable and professional." "The best auto repair service I've ever had." "Warm, friendly, sincere, and they listen to your needs in regards to your car. They do not overpromise and underdeliver. This store is the best and very honest:)"
"The best repair & maintenance shop in the bay area"
"I have been taking my cars to Ender for the last 10 years. Prior to finding Ender, I have had some bad experiences with car repair shops. he is a very honest guy and will tell you like it is. I would strongly recommend him." "I would recommend them. 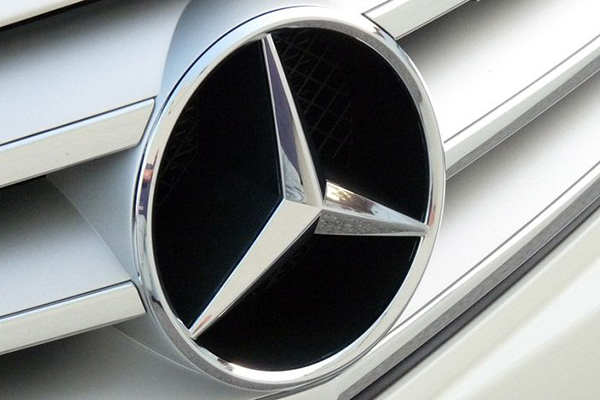 They have been servicing my cars and I am satisfied with their service." "very knowledgable, and work performed has been perfect and taken care of any auto problems I have encountered." "Exceptional, Norcal has been serving our family for many years. Our son brings his vehicles from San Francisco." "Exceptional, exceptional Leave your keys and automotive worries behind"
"if you have car problem. You must visit them The best mechanic shop i ever visited"
"Absolutely the highest quality work, with the highest honesty and integrity. Professionalism and superior service."